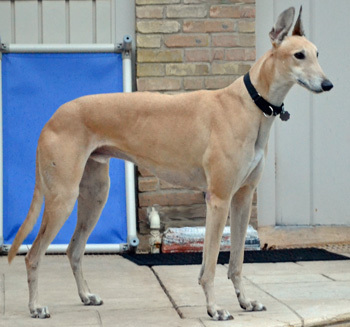 Tizer, aka Turbo B Tiger, is a gorgeous 5-year-old fawn male born November 26, 2006. His sire is Dodgem By Design, and his dam is Jr's Omega. Tizer has no races to his credit on Greyhound-data.com, but does have 33 races listed on Trackinfo.com, staring on September 29, 2008 and ending on April 25, 2009. He was adopted out from a group in California, but it was not to be his forever home. 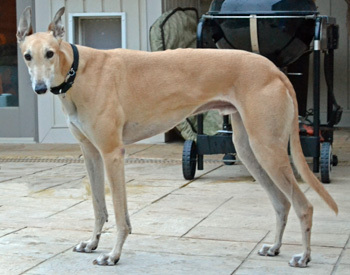 His family surrendered him to GALT when they could not take him on their next move. This big, sweet boy passed his cat test, and is ready to woo a forever family with his expressive ears.